The Asics OC Runner is inspired by the classic 80's sneakers with its distinctive zigzag form of materials. 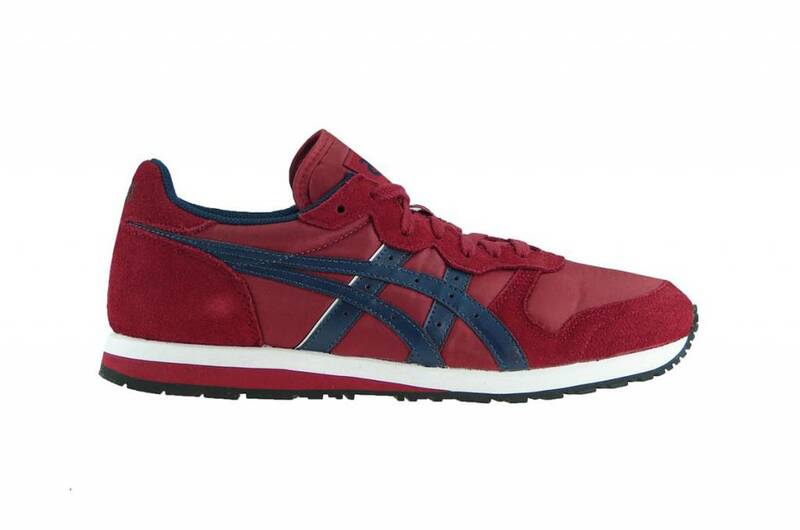 ASICS, Onitsuka Co., precursor Ltd., was founded in 1949 by Mr Kihachiro Onitsuka in Kobe, Japan. He started manufacturing basketball shoes that were tailored to the requirements of the star players of the increasingly popular national basketball team. The first shoes were designed with a reclining sole to simulate the operation of the suction cups on the tentacles of a squid. In 1950, the company was also known as Onitsuka Tiger. The Tiger sportschoen knew its first big success in the following year, when the Boston Marathon winner wore the mark. ASICS is an undisputed leading brand for running shoes for both fanatic athletes and professional athletes in front of the world's world of sports performance. Whether it's a professional sporting event, the Olympic Games or just a round in the park, ASICS is the perfect choice for the seasoned runner for optimum comfort, perfect support and a wonderful time.